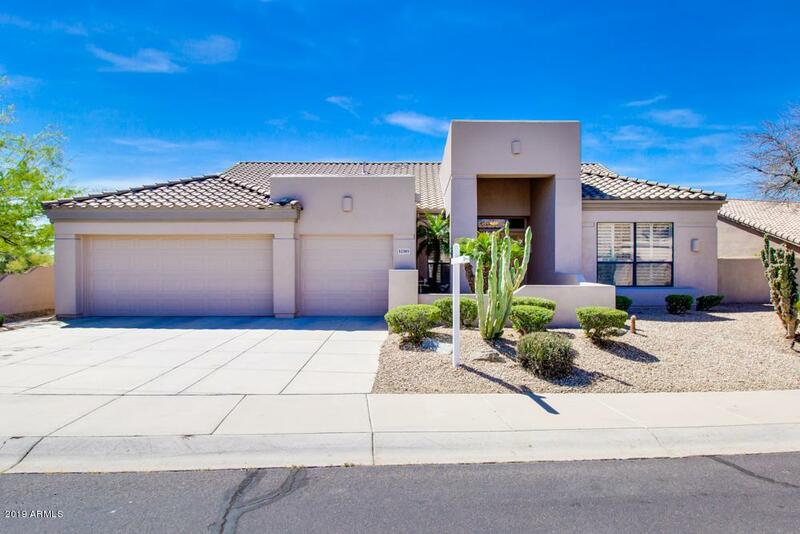 Beautiful, remodeled 3-bedroom, 2.5 bath home located in the Via Linda corridor close to the Mayo Clinic in Scottsdale. Close proximity to the 101 freeway and walking distance to schools and churches. 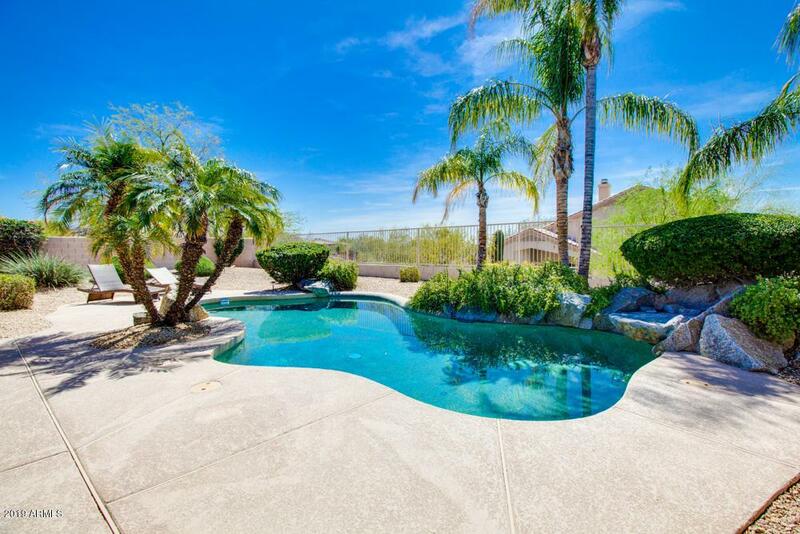 This home offers amazing city views from the beautiful backyard with a large covered patio, beautiful sparkling pool and clean desert landscaping with a lush synthetic green grass play area. 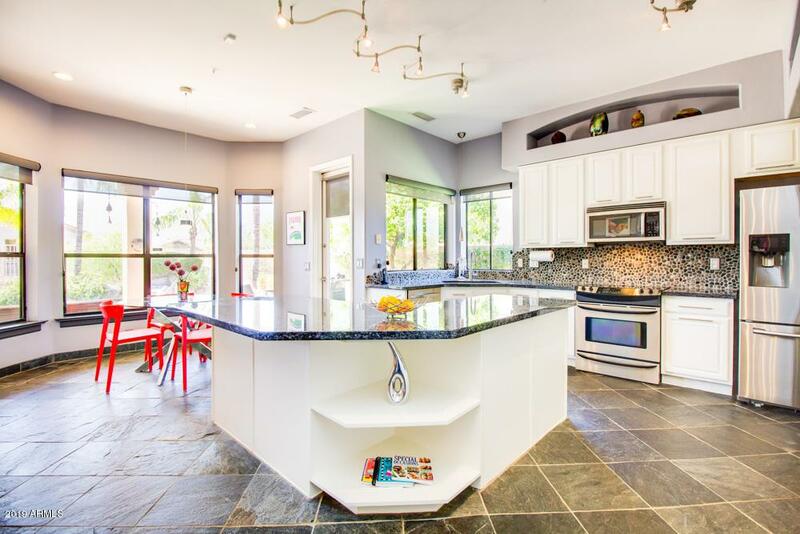 This elegant, contemporary home features high ceilings, an open and bright floor plan with slate flooring and baseboards, plantation shutters and contemporary blinds throughout. 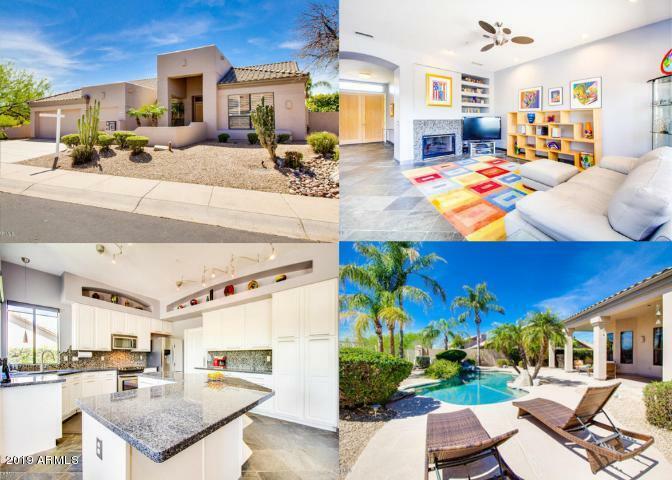 Beautiful remodeled gourmet kitchen is equipped with a breakfast nook, stainless steel appliances, including a brand-new LG French door smart refrigerator, granite counter tops, and lots of cabinet space and storage.